Whether it’s your first house or your dream home, buying a home should be fun. That’s right, I said, FUN. Sure there will be stressful moments. Buying a home is a process—one that involves a lot of people doing their part at the right time. That’s my job—to manage all those people and parts of the process to insure you a smooth home-buying experience. 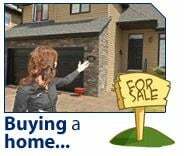 Home buying is a also smart financial decision (if you do it right!) You are paying yourself instead of a landlord. We promise to do our best to make your home buying process as much fun, and with as little stress, as possible. Click on any (or all) of the informational reports below…we’ll zip them right out to you. We realy enjoy taking time to share your dreams over a cup of coffee. So, naturally, give us a call, 817-798-2420.